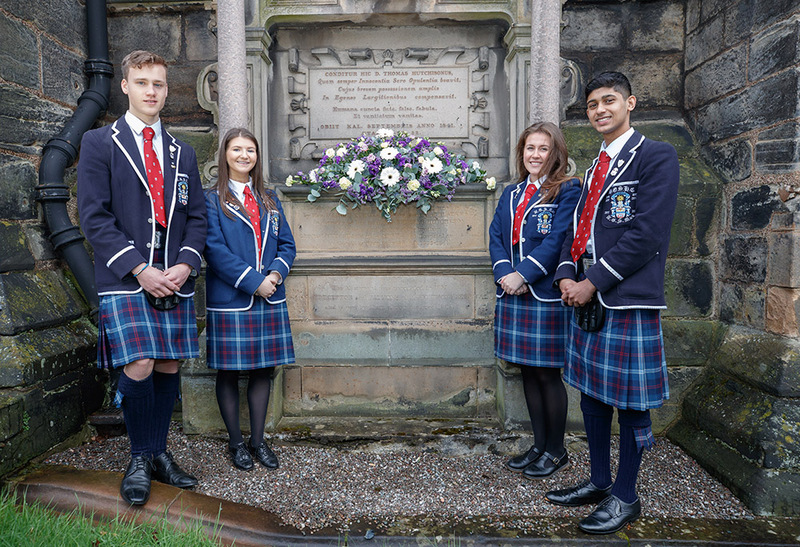 The school remembered founders George and Thomas Hutcheson at the annual Founders’ Day ceremony at Glasgow Cathedral yesterday and welcomed back former pupil Vivien Currie. Vivien, née Muirhead, C1987 gave this year’s address and later collected her George and Thomas Award from the President of the FP Council, Brian McBride, in recognition of her professional achievements. 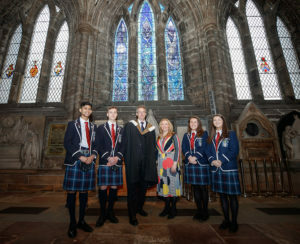 Pupils and staff listened as Mrs Currie, a chartered accountant and chief executive of Hamilton Park Racecourse, spoke fondly of her time at Hutchie and revealed how the school had influenced her career. She recalled the impact her maths teacher, Mrs Fotheringham, had on her time at school and subsequent career choice. She said: “So where did my fascination with numbers come from? That was most definitely a result of my time at Hutchie. In particular, Mrs Fotheringham, who taught me maths for two years in the run up to my Highers, flew around the classroom in her black bat-like cloak chalking up all sorts of formulae and had me fascinated. 2,164 to the power of 16 seemed like an impossibility at the start of the year but her mesmerising way of teaching which engrossed me had everyone believing they were Einstein by the end of the term. Vivien started her accountancy career with Ernst & Young and was on track to become a partner in one of the largest accountancy firms in the world when an unexpected opportunity arose in a technology business. Despite knowing nothing about the technology sector she decided to jump into something completely different. She joined the company as Director of Strategy & Special Projects and after two years she was promoted to Executive Vice President of Global Sales & Solutions. Her professional career then took another unexpected turn when the opportunity to buy a football club came up. Livingston Football Club was struggling financially at the time and Vivien took on the challenge of running the club and enjoyed her time in the football world. Today, Vivien is the Chief Executive of Hamilton Park Racecourse which was recognised as the Champion Racecourse in the UK just four months ago at the national industry awards. 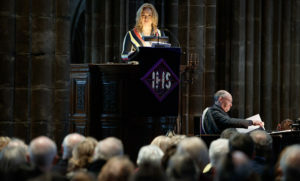 She is currently improving the facilities further with a £10million hotel nearing completion and despite her busy work schedule she was delighted to be asked to speak at Founders’ Day and collect her G&T Award. Founders’ Day photos can be found here.